Known as Big Sky country, Montana is one of the most beautiful and spacious states in the entire United States. With less than one million people it is second only to Wyoming as the state with the lowest population. This contributes largely to the wide open spaces and relaxed atmosphere that are evident everywhere, from the largest of cities to the smallest of towns. The northern latitude and the lack of pollution make the night sky so brilliant that the stars seem close enough that you could touch them. Hence the “Big Sky” moniker. 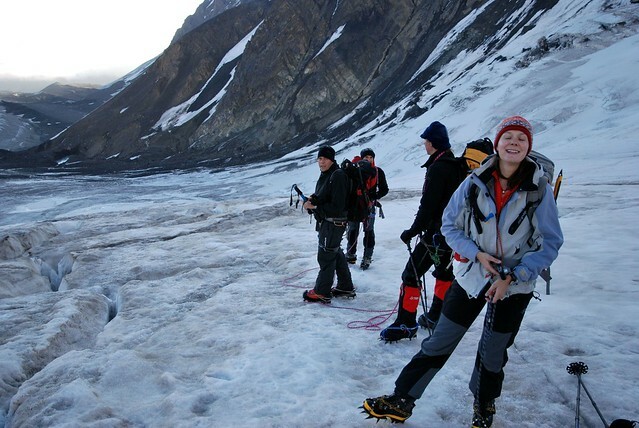 The people here are among the friendliest in the world and will show everyone a great time and guide you in how to make your vacation here the most memorable one ever. Below is a short list of some things to do in Montana. Whatever your interests are or what time of year you are visiting, you will not be disappointed. Head to the state known for wide open spaces, clean air, wild animals and beautiful landscapes, for a whole other experience then you’re use to. 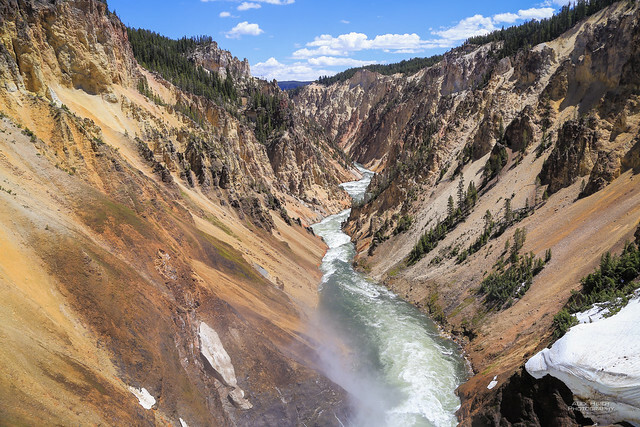 Yellowstone National Park is probably the most famous Montana tourist attraction there is. Known worldwide, it is visited by millions of people each year. There are many geysers throughout the park, with the most famous one being Old Faithful. This one derives it’s name from the fact that it sends water and steam hundreds of feet into the air once an hour, every hour. Most of Yellowstone is in Wyoming, but it also extends in to Montana and Idaho. There is also an abundance of wildlife to see and photograph including bison, bears, moose and elk plus many species of birds and smaller animals. If you happen to visit Montana during the winter, many of the roads will be closed. But not to worry – there are many snowmobile and snow bus adventures you can take part in and still get the full impact of the park. So when you travel Montana through the south central portion, make sure you spend a day exploring what Yellowstone has to offer. As you leave Yellowstone National Park through the town of West Yellowstone, another one of the things to see in Montana is the Grizzly and Wolf Discovery Center. It is a fascinating and educational experience featuring live grizzlies, wolves and birds of prey. Park rangers give presentations. There is a bear museum and there are even programs designed for children. Young and old alike will really enjoy this stop. 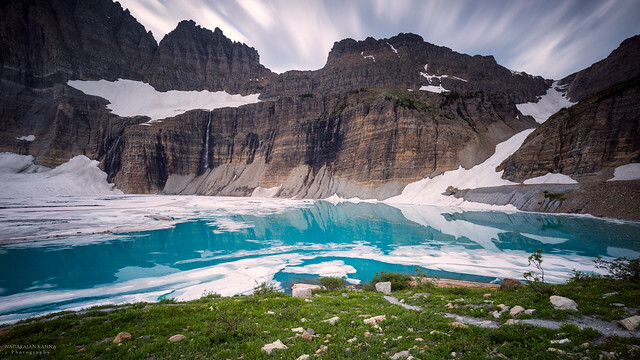 Glacier National Park is definitely one of the magnificent things to see in Montana. It is situated in the north central portion of the state and stretches along the Canadian border. There are many trails to hike, lakes and streams to fish or float, and many opportunities to view the birds and wildlife. From horseback trips to guided hunts or just finding your way on your own, you will discover the beauty of the state here that is talked about worldwide. If winter recreation is more to your liking, there are six downhill ski resorts in the park, including Whitefish Mountain Resort, Lookout Pass, and Mountain Snowbowl north of Missoula. There are many cross country ski trails, and even the chance to glide behind well trained dog teams. Ice fishing on Flathead Lake is always a thrilling time. All of this and the breathtaking views are why this is one of the places to visit in Montana. Another idea for what to do in Montana for those that are interested in dinosaurs is Makoshika State Park. Pronounced Ma-ko-shi-ka, it got the name from the Lakota-Sioux Indians and means “land of bad spirits”. It features 11,000 acres of badlands scenery with endless hiking opportunities. It is well known for the amount of dinosaur bones being unearthed there every year. There are several ongoing digs for dinosaur bones and other fossils in and around the area. So during your Montana travel you will want to head east to the Glendive area and check it out. 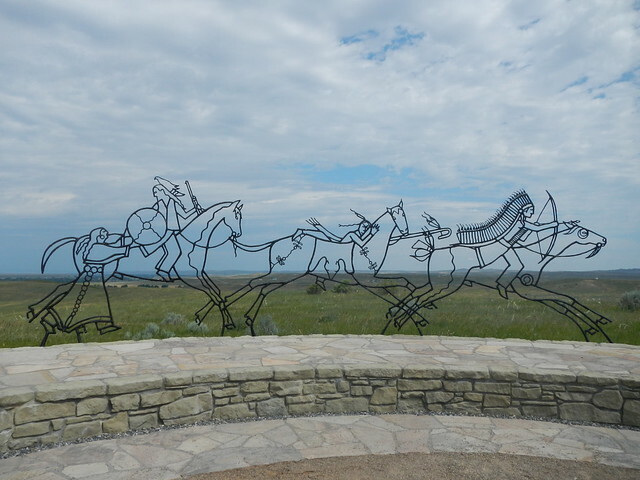 Little Bighorn Battlefield National Monument and Custer Battlefield Museum are both great places to visit in Montana for all of the history buffs and anyone else interested in this famous battle that helped settle this part of the west and change the way the Indians were dealt with everywhere. It is recorded as perhaps the greatest battle between the Plains Indians and the US cavalry, when General George Custer and all of his men were killed in this epic war. Travel Montana highway 212 east of Billings, and you will see – and become a part of – a piece of true history. 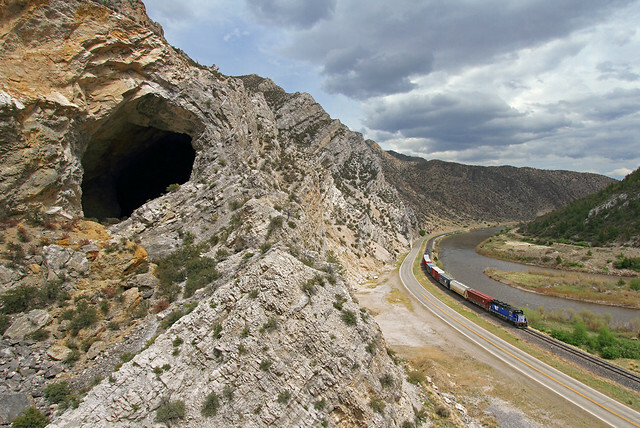 Lewis and Clark Caverns near Three Forks should definitely be on your list of places to visit in Montana. Meriwether Lewis and William Clark were famous explorers that were said to travel Montana extensively and discovered many things and find new routes through the region for others to follow. They mapped out the headwaters of rivers such as the mighty Missouri, the Milk River and many more. There are trails throughout the state that you can hike along that follow their same path. Although they did not directly discover the caverns, they were in the nearby area extensively so their names were given to the caverns. These are vast limestone caves and natural hot springs that you can explore either with a guide or on your own. These are well worth spending the day enjoying. Virginia City and Nevada City are also fascinating places to visit in Montana. These two towns are originally old mining towns that sprung up when gold was discovered in the area. Many of the old original buildings and businesses have been preserved to an amazing point. Take a stroll down the boardwalk and shop in the old time shoppes. Browse through the general store, be treated to a show at the original theater and enjoy the numerous bars, cafes and gift shops or take a train ride around the area. There are also many of the original businesses set aside that you can view in to and imagine you are right there. From the blacksmith shop, haberdashery, newspaper office and many many more, you will get a glimpse into what life was truly like back in the 1800’s. You can spend the entire day going through all of the shops and putting yourself back in that time. During the winter months, most of the businesses are closed. However there are many snowmobile trails you can use and still enjoy the beautiful area. The World Museum of Mining is located in Butte. Mining played a huge part in the development of the state, and is still vital today. All types of minerals from gold, silver, coal, cobalt, precious gems and much more can be found, which is why this is also known as the Treasure State. As you visit Montana you will see the evidence of mining in many places, with a lot of the mines still in operation today. The museum itself is located on an actual mine yard. It depicts the rich legacy of mining and has fascinating exhibits showing the history of the industry. It is one of the many things to see in Montana that gives another inside look into the history of what makes the state what it is today. 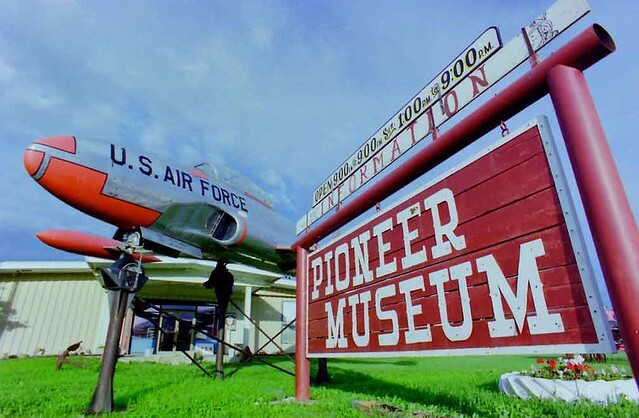 Valley County Pioneer Museum in Glasgow is another fascinating museum full of rich historical treasures that you will want to be sure and add to your list of things to do in Montana. It has many artifacts and exhibits showing the history of prairie life in the northeastern part of the state. From Native Americans, wildlife exhibits, Lewis and Clark memorabilia, the Homestead Era and much more, you will truly enjoy spending several hours here. Many of the towns across the state have museums that show the history of that particular area and how the state became what is is today. If you are at all interested in the history of the state and the people that made it great, visiting some of these is one the best ideas of what to do in Montana . Helena is the capital city, so should definitely be one of the places to visit in Montana. 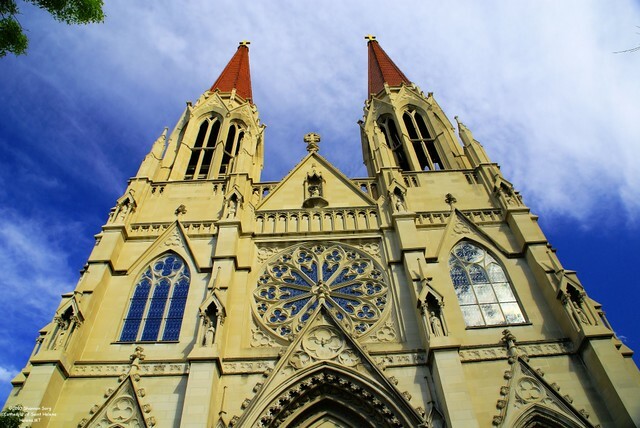 It was founded in 1864 from a rich gold strike and bloomed so well that it was dubbed the “Queen City of the Rockies”. There are still historic areas with turn-of-the-century houses and some pioneer homes that have been restored and preserved. The upper portion of the main street is even known to be inhabited by ghosts! Although it is not the biggest city in the state, it has developed into a real art and cultural center, with many adorable shoppes and numerous outdoor festivals and performances. There are some great statues and artwork by the famous Charles M Russell in and around the capital building as well. Much of his work can be seen throughout the state, and some museums in the region are dedicated to him as well. 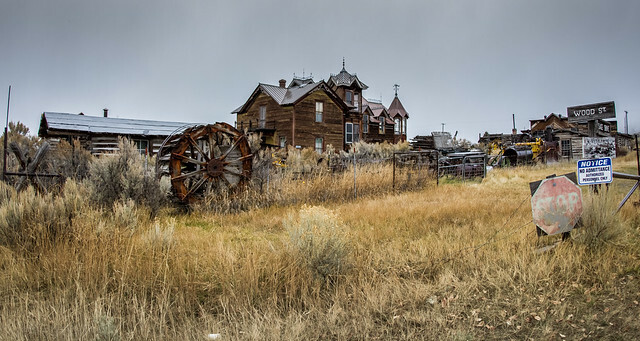 If ghost towns and hotels are to your liking, there are many of these things to see in Montana. 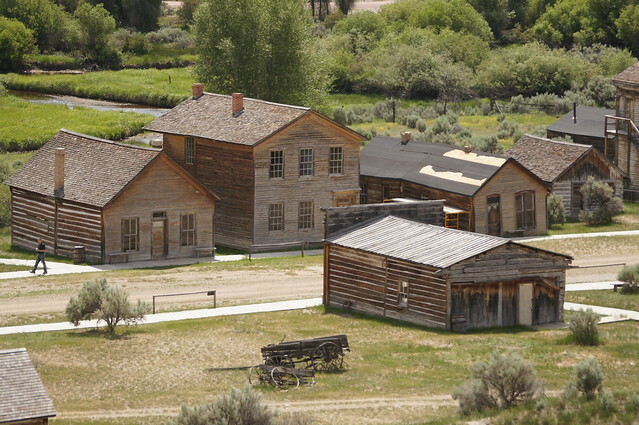 Bannack State Park near Dillon is probably the best preserved of these towns in the state. The Sacagawea Hotel in Three Forks has a wing that is also said to be haunted. Sacagawea was the Indian maiden that helped guide Lewis and Clark during their explorations and eventually married Meriwether Lewis and bore him a son. Many think it is Sacagawea herself still wandering the halls of the hotel. Stay in one of the rooms on that floor and decide for yourself! 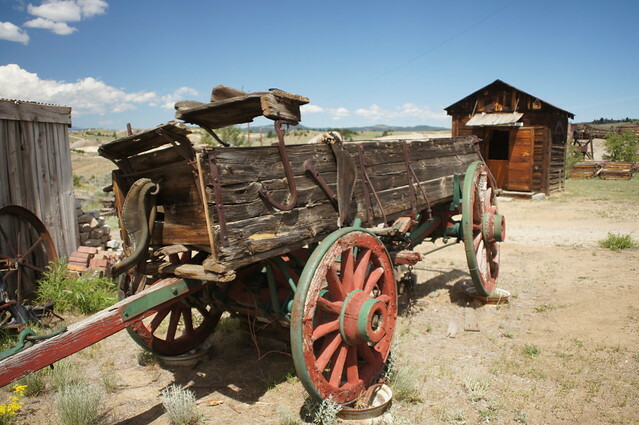 Philipsburg, Virginia City and Nevada City are other notable ghost towns in the area along with others. Several Montana travel guides have put together actual tour routes that you can follow as you explore this fascinating “other-world”. As you travel Montana Highway 287 north from I-90 towards Helena, you will certainly notice the Bleu Horses. 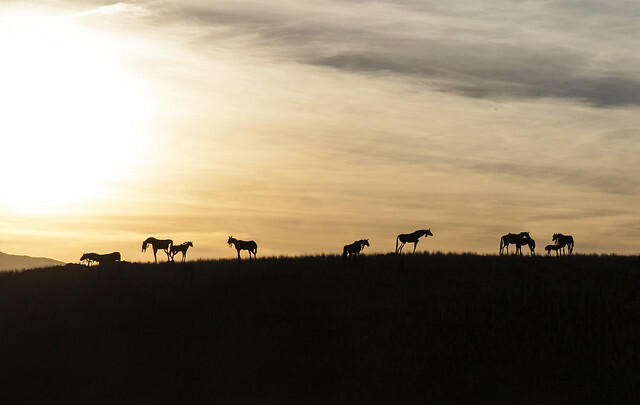 These “wild horses” that are situated on the hillside along the highway are actually larger than life sculptures of 24 horses that Jim Dolan created. Each one is in a different pose, whether eating, lying down or some other natural position, so they look very realistic from the highway. Mr. Dolan created these strictly so that the people that visit Montana would have something unusual to enjoy. He has created many sculptures that can be seen throughout the state and are well loved by many. One of the most fun things to do in Montana is panning for gold, rubies, sapphires and many other precious gems. Known as the Treasure State, there are many places where you can mine or pan for these beauties. Many of these sites are open to the public where you can mine or pan on your own. Still others are designed so you learn how to pan and are likely to find those treasures. All of these are geared for everyone, and the entire family is sure to enjoy. Several have gift shops, cafes, and may even help you create your own piece of jewelry with your find. Montana travel would not be complete without immersing yourself in the rich Native American culture and heritage that is such a large part of the states history and current population. From the Rocky Boy’s powwow in Box Elder, First Peoples Buffalo Jump State Park south of Great Falls, Custer’s Last Stand Reenactment in Hardin just to name a few, you will find any one of these things to do in Montana as very memorable and potentially life changing. Virtually every area of the state has something to offer from the First People that you will want to take advantage of. For the hunters and fishermen in your life, looking for more of what to do in Montana is a very simple matter. The thousands of miles of rivers and streams offer the best fly fishing in the world. The many lakes and reservoirs are just teeming with a wide variety of fish species, whether for sport or to fill the freezer with some good eating! Ice fishing on these can be a real thrill if you are here in the winter. If hunting is more to your liking, big game species abound, from antelope, deer, elk, moose, bear and bison, you are sure to find the trophy you could only dream about. 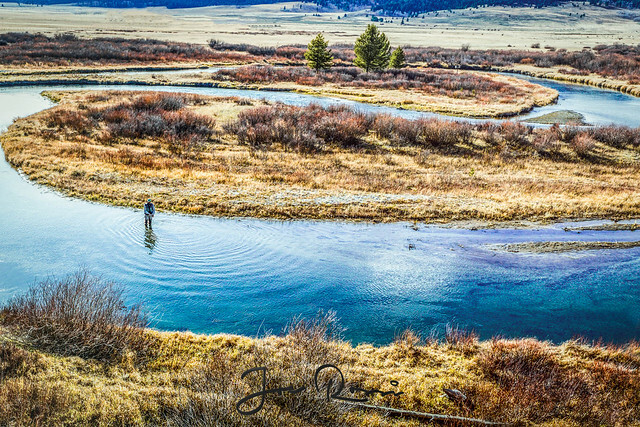 There are many guides and outfitters for both hunting and fishing, so when you visit Montana you will be treated to the greatest experience possible and have many stories and pictures to take home. If you love the snow and are wondering what to do in Montana, there are many thrilling opportunities. Downhill skiing and snowboarding areas abound across the entire state. Many of them open by Thanksgiving Day, which can make a great holiday tradition for families. There is Big Sky Resort in Big Sky, north of Yellowstone National Park, Great Divide Ski Area in Marysville and Discovery Ski Area at Georgetown Lake just to name a few. Cross country skiing offers a quiet, wonderful opportunity to see the landscape and wildlife in the area during the winter. Some of the great trails include Beaver Creek Park, that has a couple of lakes close by, Silver Crest and Choteau. Most of the larger resorts also have cross county trails nearby as well. Snowmobiling is also a wonderfully exciting winter sport. Yellowstone National Park, Kings Hill, and Belt as well as many other places rent snow machines of various sizes but you should definitely prepare by bringing your own snowmobile riding gear. You can ride the areas on your own or have guides take you on the trails. All skill levels and ages are accommodated, and lessons given to those new to the sport. If you like to fish, ice fishing may be just the thing for you. With the many lakes and reservoirs, there are endless opportunities for this, and many competitions for the diehard fishermen and women. Fort Peck Reservoir, Flat Head Lake, Ruby Reservoir and Canyon Ferry Reservoir are some of the larger lakes that offer great chances to catch those big ones. For one of the more unique things to do in Montana in the winter, try Sand Creek Clydesdales Ranch in Jordan. They offer majestic sleigh rides that are a lot of fun for the whole family. Another popular Montana tourist attraction is ZooMontana and Botanical Gardens in Billings. It is the only zoo in the state and is open year round. The 70 acre facility features everything from grizzly bears to Siberian tigers. There is a nature trail that winds it’s way along Canyon Creek where you will see both native and exotic animals in their natural habitat. The kids will also enjoy the petting zoo (that fortunately does not include the bears or tigers!). This is one of the favorite things to do in Montana for the entire family. One of the more unusual and fun things to do in Montana is to stop in at the Sip ‘N Dip Lounge in Great Falls. This tiki bar is decorated with a Polynesian theme and has a piano player playing jazz in the background. 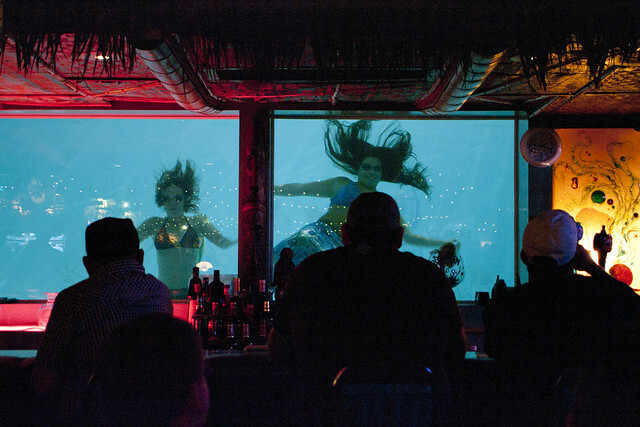 The fun and surprising part about this particular bar is that you can be sipping your drink while watching mermaids swimming underwater behind a glass wall next to you! Whenever you travel Montana, you will not see a more unique show. 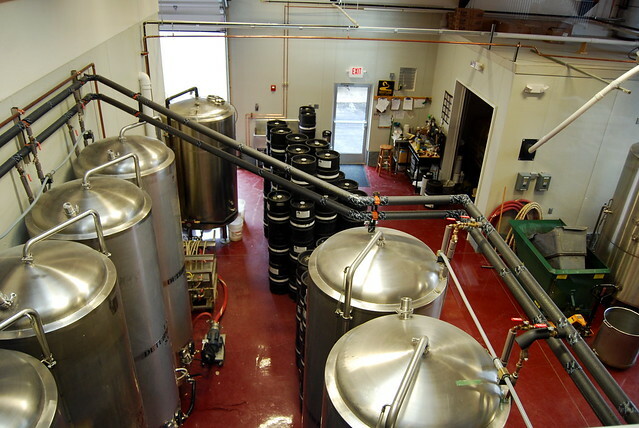 Some of the more enjoyable Montana tourist attractions are the many micro-breweries there are across the state. Their brews come with unique names that can only come from this state. One of these breweries is the Front Public House in Great Falls. Besides it’s great lineup of beers, it also offers seasonal brews like PunkinRue and Apocalypto Ale. They also offer mouth watering crepes and burgers. Just the place to relax after your day of sightseeing. For more information about these and the thousands of other opportunities to enjoy the great state of Montana, you should contact the Visitors Bureaus in the regions you are interested in. You will truly have the experience of a lifetime. How/why did you not include the “Museum of The Rockies” in Bozeman? Really worth seeing. I was born in Helena but now live in the East. Was back for a visit in 2024 and saw many of the things you listed.